You probably know somebody like Peggy (Shannon). She’s the kind of relentlessly chipper single woman who uses phrases like TGIF without a smidge of irony and keeps photos of her beloved beagle, Pencil, pinned up around her cubicle. 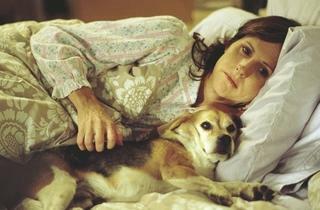 So when her canine companion accidentally dies, Peggy is devastated. Her loss does introduce her to a dreamy, albeit sexually ambiguous, ASPCA worker (Sarsgaard) and a newfound sense of purpose in animal-rights activism. The fact that she eventually adopts a baker’s dozen of strays and loses her grip on reality, however, doesn’t suggest that Peggy has found personal nirvana so much as taken a one-way dip into the deep end. As a screenwriter (Chuck & Buck,The Good Girl), Mike White has worked miracles by deftly injecting humanism into misanthropic squirm-comedy. Thankfully, his directorial debut maintains the same singular sensibility: Year of the Dog is poignant but not sappy and darkly funny without being farcical. 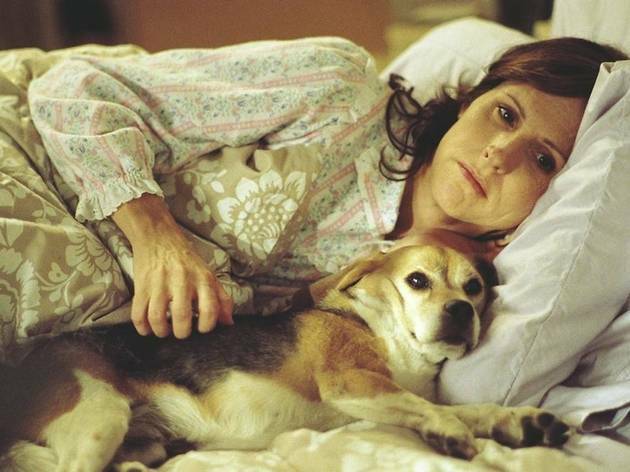 The pleasant surprise here is Molly Shannon, who tempers her manic comic persona to fit a quirkier filmmaker’s vision; Pooch-Drunk Love would make an apt alternate title. In lesser hands, you’d have nothing but oodles of awws, but thanks to White and Shannon, every warm, fuzzy moment is balanced by a wince.